There is one feature which iPhone owners have long wanted Apple to add to its stock Messages app as well as third party alternatives, and that is the ability to schedule messages to be automatically sent at a later time or date. Unfortunately, Apple seems to have little appetite for making that happen, which is where third parties come in. Scheduled is an app, available for free from the App Store, which at least comes close to filling that void. 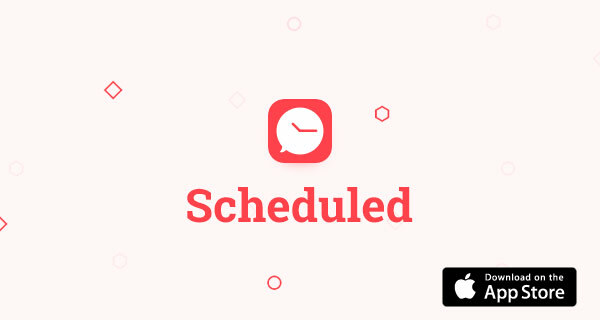 While Scheduled can indeed schedule messages to be sent later, it unfortunately cannot do that automatically due to Apple’s rules. Scheduled offers the next best thing though by offering users the ability to type out their message, and then be reminded to send it via not just Messages but other third-party messaging solutions as well including WhatsApp, Twitter, Messenger and more. Scheduled can also be used for reminding you of emails, and phone calls as well. 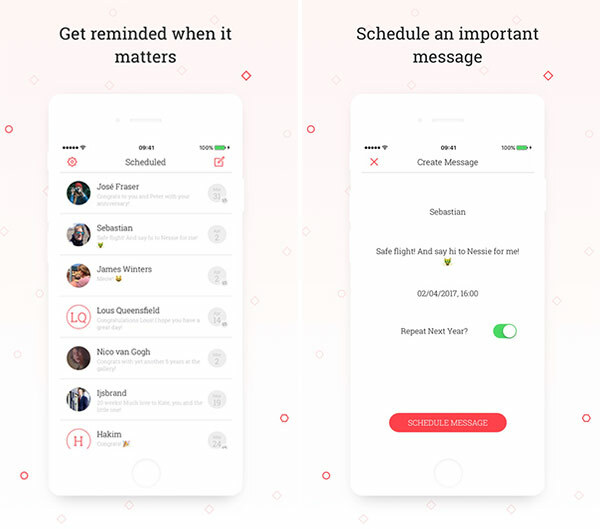 The folks behind Scheduled are offering the app for free, and those who want to be able to schedule more than four messages at a time can unlock that feature by handing over $0.99 via in-app purchase. It is of course true that Scheduled is not the first app to offer this kind of functionality, but we would wage it’s one of the better looking apps to do it. Moving forward, Scheduled plans to add support for at least LinkedIn and Slack as well as some alterations to how the app can be used. Support for Apple Watch integration, and an Android presence is also part of the road map, according to the developer. Looking around us, Scheduled is as close to answering users’ prayers as we are likely to get. I will definitely give this app a try … but I do have a few questions for anyone who has already tried it. Can I schedule a “no reply” message? AND Can I schedule a group message where everyone’s number is hidden from each other …. without turning my group messaging off?? OR …. Is it better for me to turn my group messaging off? I have a family continual group message that I wouldn’t want to miss out on. Aaand this is yet another reason to ditch Apple and avoid all Apple products. Are you listening, Cook?